The Butterfly House Vivarium is specifically designed as an ideal environment for observing the magical transformation of caterpillars into beautiful butterflies. 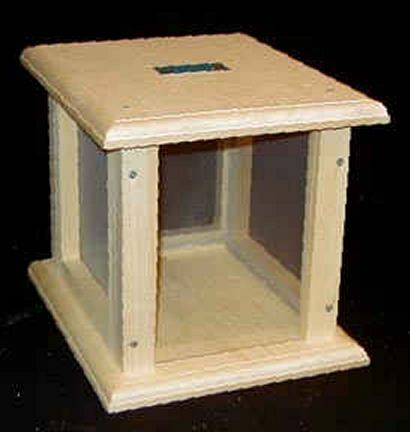 This butterfly box has a spacious interior and is large enough to hold a plant thus providing nutrition for its inhabitants. The screened windows and rough wooden interior provide ideal surfaces for clinging while the sliding Plexiglas front provides easy access.